Flanked by fruit trees and a thriving vegetable patch, Brompton Cookery School looks like just the place to teach seasonal cooking. And with This Morning’s resident chef Marcus Bean and his band of accomplished cooks at the helm you’re in capable hands. 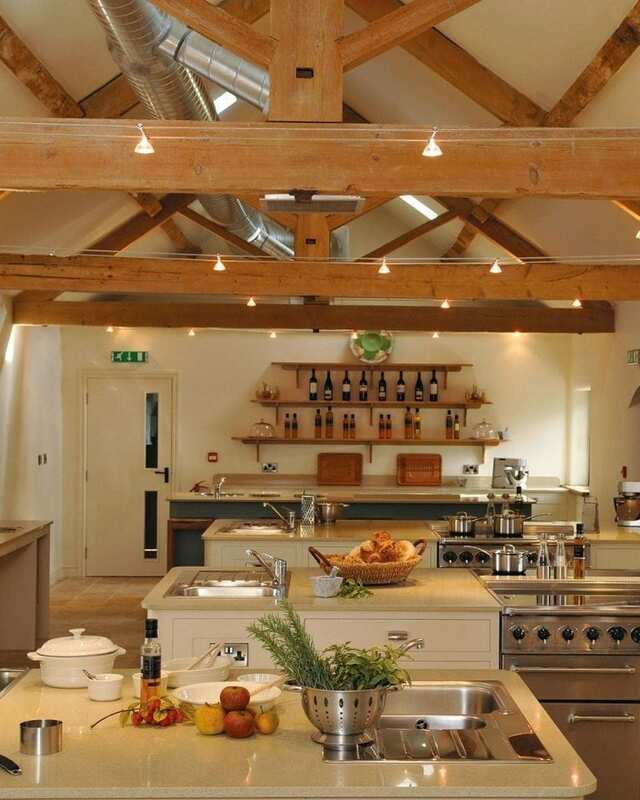 Set in a converted barn, the plush kitchen stations can accommodate up to 16 students, with a spacious chef’s demo area and a workspace for wheelchair users. But before we set about slicing and dicing, my classmates and I were led – aprons on, scissors in hands – out to the vegetable garden to cut vibrant rhubarb fresh from the soil, a key ingredient for our first recipe: vanilla pannacotta with poached rhubarb. 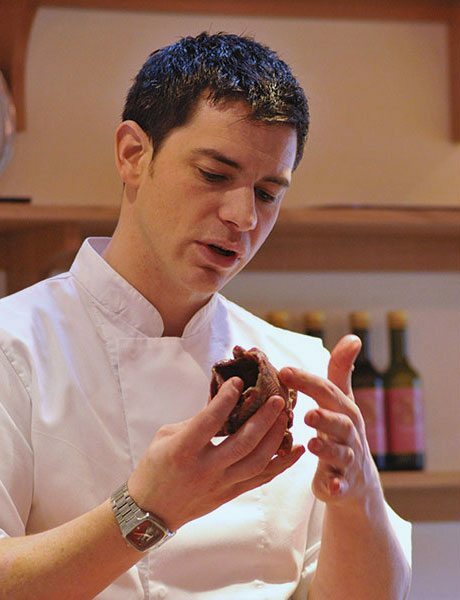 Classes at Brompton are a hands-on education in cookery – there are no slavish step-by-step recipe recitals. In fact, we were encouraged to go off-piste, using our taste buds and initiative to create the result we wanted. Each dish was demonstrated in a clear manner, with questions welcomed and tips and anecdotes thrown in: did you know that before gelatine was widely available, collagen from boiled fish bones was used to give pannacotta its wobble? The day was full but had a good pace: we made three dishes in time for lunch with a welcome glass of wine. The afternoon was more relaxed, making watercress pesto and using up the morning’s risotto in arancini. The ingredients were local and fresh, the recipes brimming with flavour and the experience one I’d happily repeat.